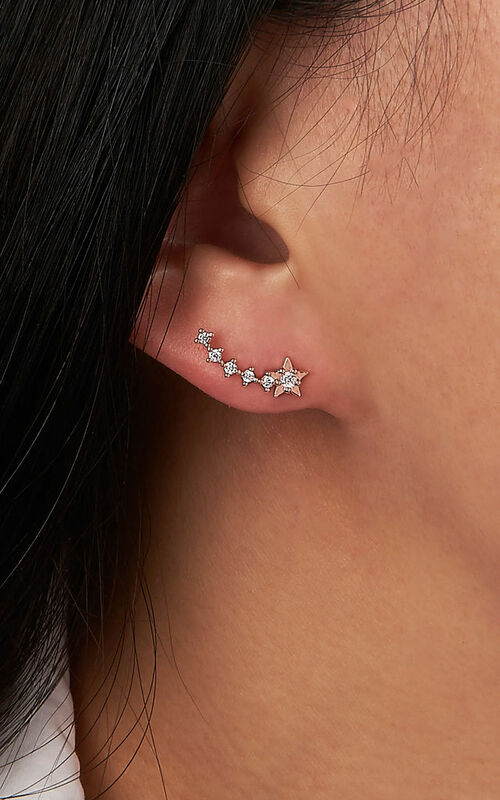 The metal star shape is followed by cubic zirconia stones to glow like a shooting star. Perfect for adding that special sparkle to your look - they look like tiny shooting stars landing on your ears. 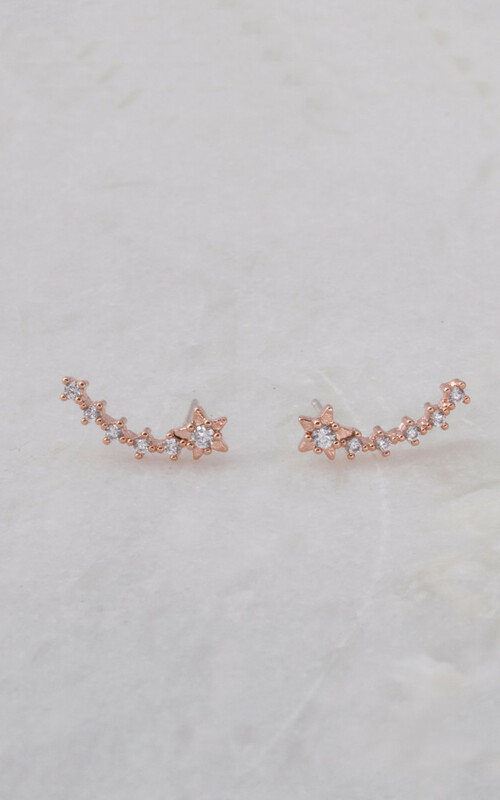 Brass, rose gold plated, cubic zirconia stones, sterling silver posts.